Hairstylists get more innovative every day. They think of many new ways to upgrade the hair coloring techniques to make your appearance better. 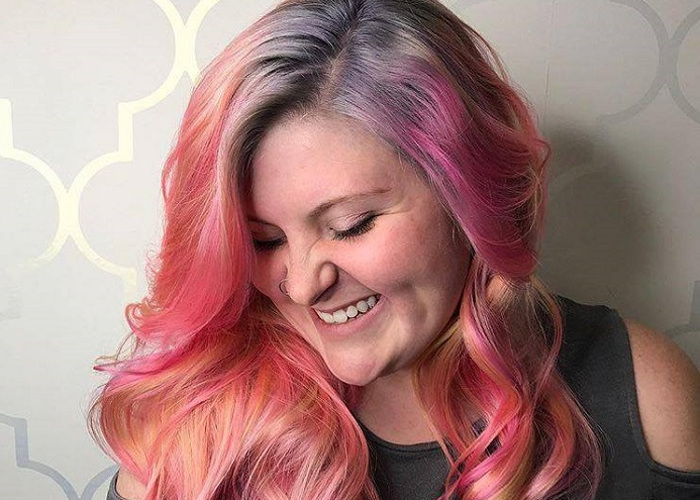 Recently we read about a lot of trending styles on the social media, including the ocean hair, tangerine, pearl	hair and much more. All of them are beautiful and eye-catching, but this one is completely mesmerizing. 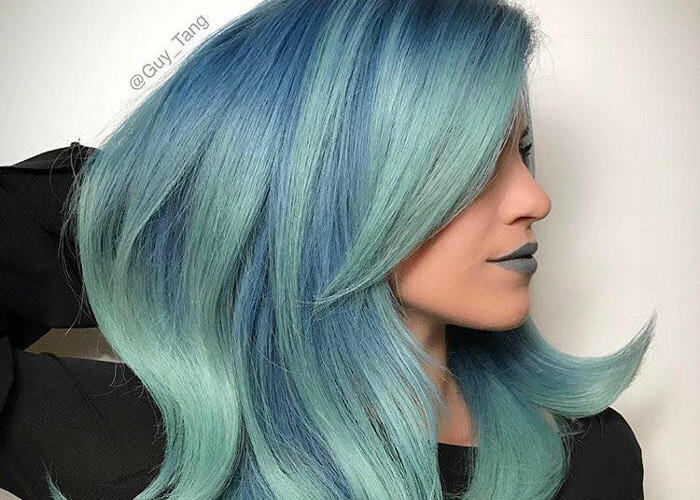 The newest hair trend that everyone is talking about is the color misting. It was first introduced by a hairstylist from New Hampshire. Stephanie Lawrence got the brilliant idea from the process of airbrushing. Since then she started thinking of similar ways to create the look, but without the machine. 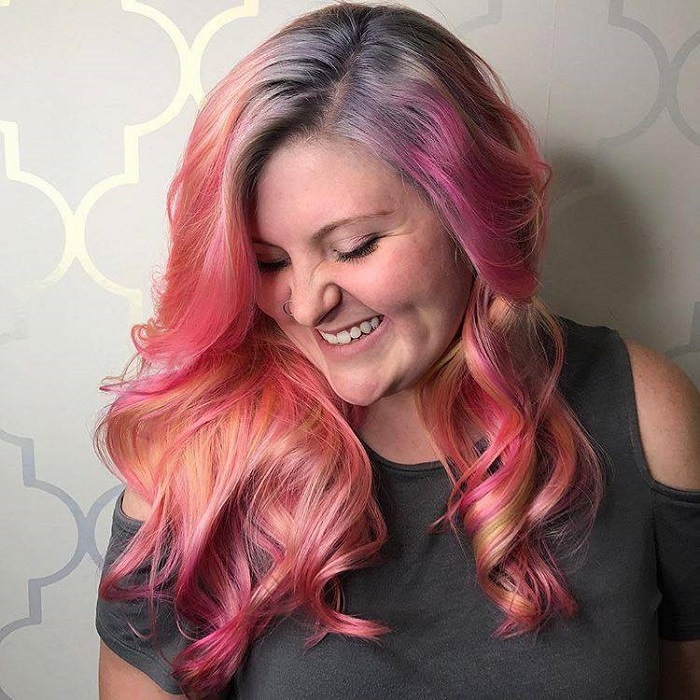 “My friend Stephanie Hodges did a color with an airbrush machine a while back, and it was beautiful. So I’ve been thinking, ‘What can I do to mimic it without the hassle of the machine?’ “- Lawrence tells Allure. That is when she thought of using spray bottles to apply the hair dyes. The dyes are diluted with water inside the bottles and after that, she sprays them on the hair. Right before the procedure, in most cases, the hair has to be lightened. “It’s made with premium pigments, so it doesn’t lose too much vibrancy when diluted, thus making your outcome vibrant but soft”- she explains. She fills half the bottle with water and the other half with hair dye. You can make your own choice of colors, and the dyeing can begin. 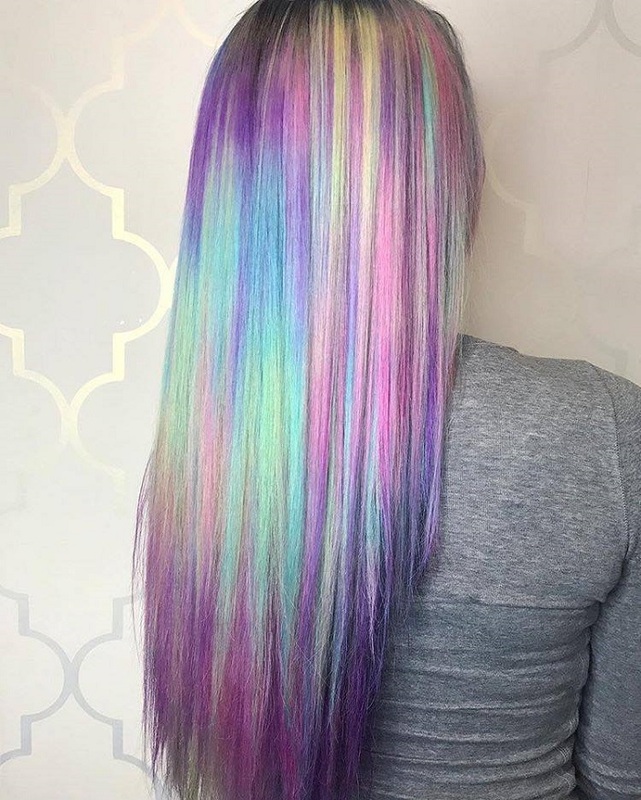 She sprays the color on pieces of hair that she chooses. In order to avoid a mess, color dripping, and color mixing, Stephanie uses the special Farmar’s Maniac Mesh strips. Since the hair colors are diluted with water, they are not as permanent as some other dyeing trends. This gives you space to try out new colors and trends more often than usual. Full length video of my #colormisting technique! We wanted to mimic a watercolor painting and have the colors seamlessly transition into each other. I used all @pulpriothair for the color and diluted each with water. The bottles and paper foil can be found at @saloncentric ! What do you think? Will you try it?! Song: Bring Me The Horizon – "Happy Song"
“This enables you to switch your style but is still a good value because it doesn’t wash right out.’- the hairstylist says. 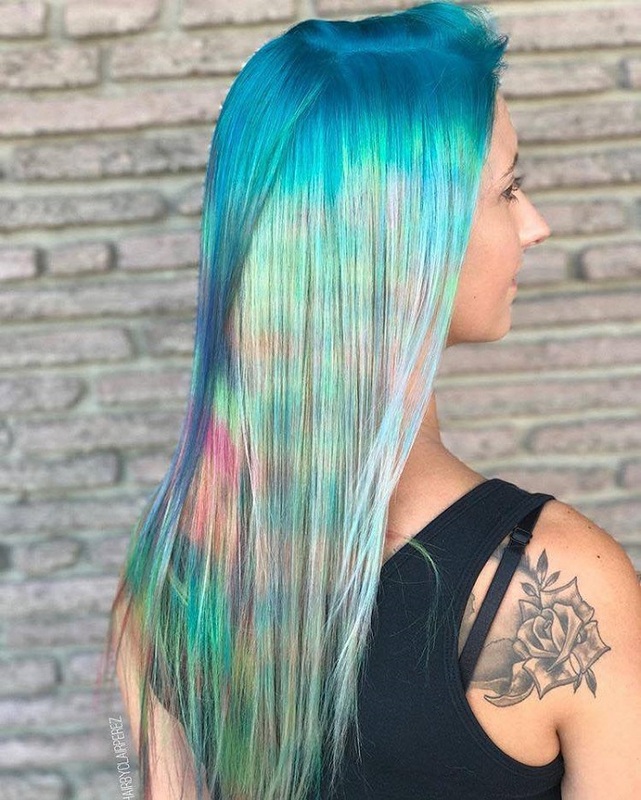 This technique is also known as the watercolor hair technique because the final result reminds of watercolors. 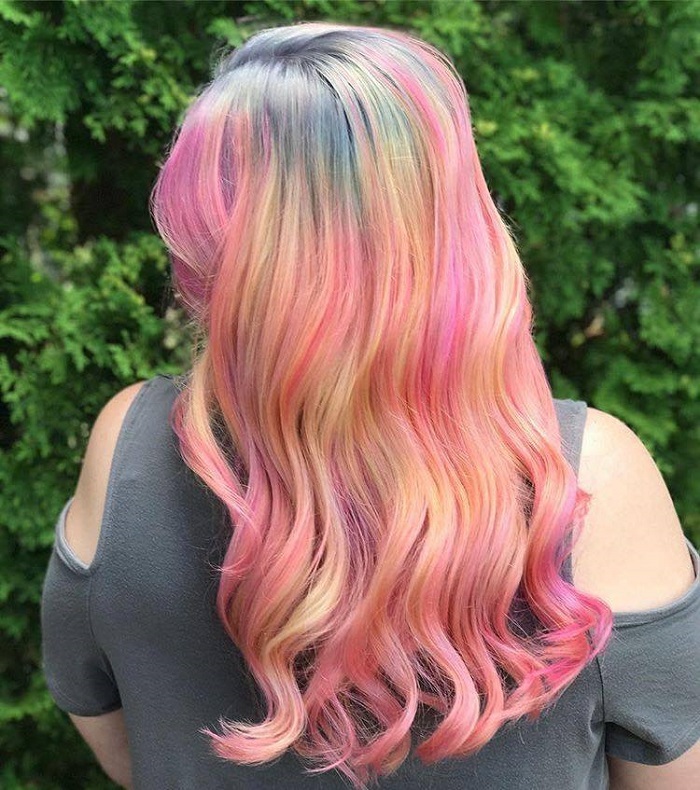 We are not talking about the same watercolor hair trend that appeared last year. 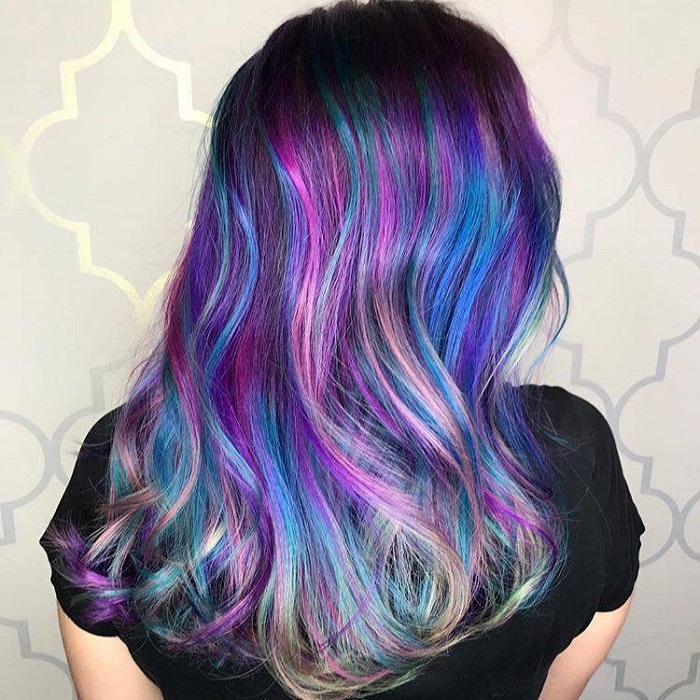 With the color misting technique, the colors blend perfectly and the end result is absolutely amazing.